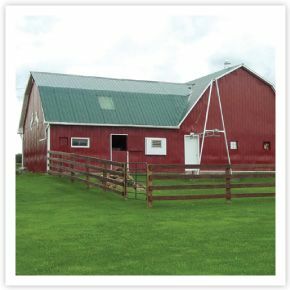 We’ve been Southern Ontario’s barn painting experts since 1947. Based in New Hamburg, we service customers in and around the Kitchener-Waterloo Tri-Cities area, including Guelph, Stratford, Elmira, and Woodstock. With Kienapple Bros. Painting, you can expect the highest quality work and professionalism from start to finish, no matter the size of your project. While we specialize in commercial agricultural painting for barns, sheds, and more, call us for repairs, power washing, epoxy coating, and more! If you’re looking to add a personal touch to your home or business, we offer outstanding interior and exterior painting services. For more information, give us a call today or fill out the email form on this page for a prompt reply.